It also holds Crystal Quartz gemstone bead symmetrically even to Rose Quartz HEART Charm. 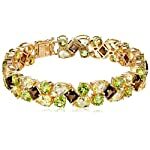 CRYSTAL QUARTZ Bead is surrounded by Two Cute Crystals Crystals Rings, which gives this Bracelet a Special Quality and Outlook. This Bracelet is Called Love Talisman, as it is made from Rose Quartz and this is what this Gemstone stands for. 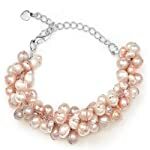 As Well, when used together with Crystal Quartz, it attains more of Natural Powers. It comes on Stretchable Rubber cord, and will fit size wrists up to 7.5 inches wide. Goes Perfectly with any Style Outfit. 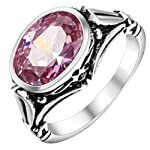 LOVE POWERS and NATURAL FORCES of ROSE QUARTZ GEMSTONE ROSE QUARTZ is a Powerful LOVE stone. Rose Quartz is Associated with the Heart Chakra as a Crystal of Love. It attracts Love and helps the owner of it to prepare emotionally for Love. Rose Quartz is the essential stone for Increasing Love. It stimulates the bodys Love centers and can result in Peace and Fidelity in committed relationships. As one of the Most Important Crystals for Attracting Love, it does emotional maintenance clearing out emotional baggage, converting negative emotions, and calms hot tempers, all of which prepare us for Love. The high energy of quartz gives Rose Quartz the property of Enhancing Love in virtually any situation. It is in all a very Soothing and Happy stone. Emotionally Rose Quartz brings gentleness, forgiveness, compassion, kindness and tolerance. Rose Quartz takes its name from the Flower, because it opens the Heart to the beauty within and all around us, and helps us attract positive, gentle Love into our lives. Having a Fantastic metaphysical properties, Rose Quartz is like a wise old woman that knows all of the answers and can heal with a mere glance. 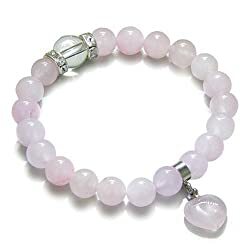 True Love is the highest degree attained at the Heart Chakra and this process is initiated with Rose Quartz. 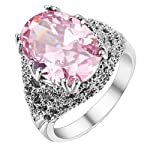 Rose Quartz is the Most Powerful for dealing with affairs of the heart. It opens up the heart for both giving and receiving Love. It soothes negative influences.